Director Colm McCarthy and writer Mike Carey’s The Girl with All the Gifts (based on Carey’s book) is built upon themes first explored in the works of George A. Romero (Dawn of the Dead, Day of the Dead), but takes them even further. In The Girl, the thoughtful zombie is not a character on the peripheral of the narrative, rather it’s the hero and our entry point into the movie. And while the story orbiting our putrescent protagonist is generally familiar ghoul movie fare, the “girl” at its core is anything but familiar. 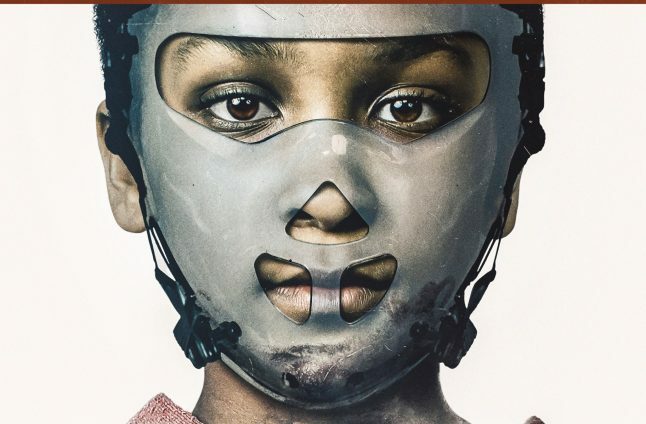 And because we watch the horror unfold through her troubled eyes, The Girl with All the Gifts itself evolves the genre and breaks (and bites) much new allegorical and narrative ground. Step into a future dystopia when the post-apocalyptic zombie thriller, The Girl with All the Gifts, arrives on Blu-ray Combo Pack (plus DVD and Digital HD), DVD and Digital HD April 25 from Lionsgate. The film is currently available On Demand. Six-time Academy Award nominee Glenn Close stars alongside Gemma Arterton and Paddy Considine in this story of society’s breakdown after the outbreak of an unprecedented plague. The Girl with All the Gifts Blu-ray Combo Pack and DVD will be available for the suggested retail price of $24.99 and $19.98, respectively. Synopsis: Humanity has been all but destroyed by a fungal disease that eradicates free will and turns its victims into flesh eating “hungries.” Only a small group of children seems immune to its effects. At an army base in rural England, these unique children are being studied and subjected to cruel experiments. When the base falls, one little girl escapes and must discover what she is, ultimately deciding both her own future and that of the human race. Will you picking up this contemporary horror masterpiece in April?